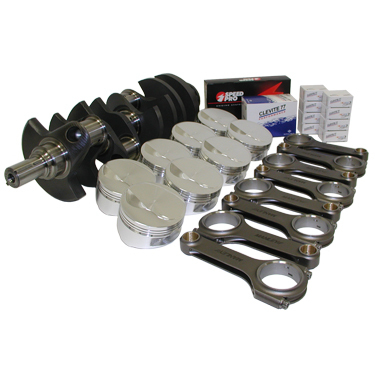 These Custom Designed Kits Consist Of Carefully Matched Components For Your Particular Application. Let One Of Our Experienced Sales Staff Help You With Your Rotating Assembly Needs! Complete Assembly Internally Balanced. Shipped With Standard Clearance Bearings. Clearances Must Be Checked Before Final Assembly.